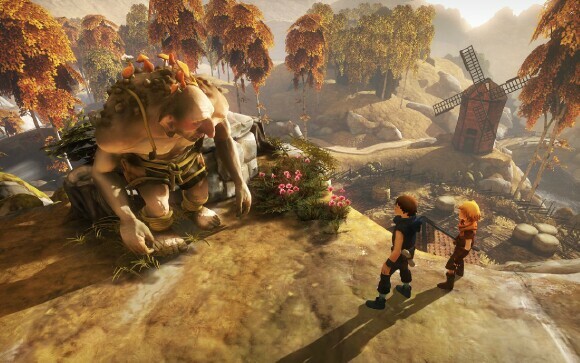 Brothers: A Tale of Two Sons is an indie game developed by Starbreeze Studios and has a very unique direction for a video game. The game follows, as you can guess, two brothers who're on a journey to save their father from an illness that can only be cured using the water from the Tree of Life. 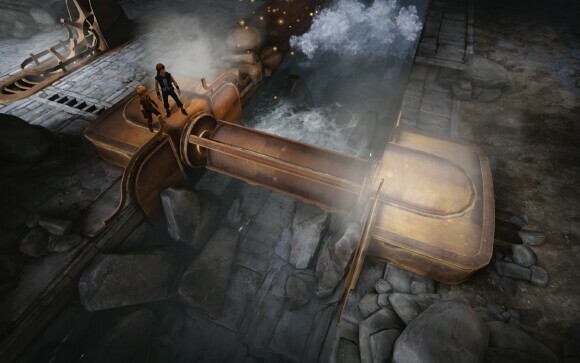 Players control both the older brother (Nyaa), and the younger brother (Naiee), to solve puzzles and overcome deadly obstacles that stand between them and their journey. In Brothers, players control Nyaa's movement with the left stick and his object interaction with the left trigger. While Naiee is delegated to the right stick and interacts with objects with the right trigger; you can control camera movements with the left/right shoulder buttons, however the camera never feels obstructed or cumbersome that you need to adjust it. The control scheme is so minimalist in Brothers that it suits the game perfectly and gives the effect that any addition may have ruined the immersion. One of the best features that Brothers offer is the ability to interact with objects and people in the world. It's done in a very unique way in which players hold one brothers respective trigger. The amazing thing is that no object or NPC will react the same way to either brother. For example, Naiee is not as strong as his older brother Nyaa so he relies on Nyaa to pull down heavy levers to access new areas. 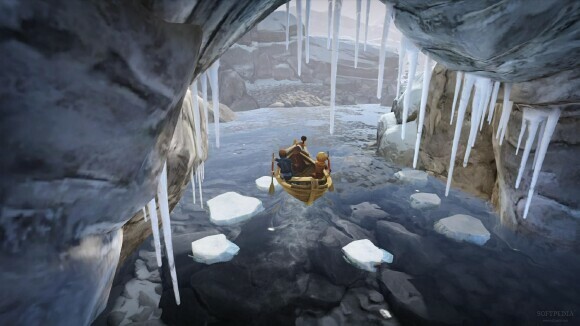 For an adventure game, Brothers is pretty linear in terms of gameplay and provides little room for exploration. Puzzles are fairly simple when the brothers are performing in sync, but it is the asynchronous timing puzzles that will truly cause you to keep track of what is going on. The puzzles add depth to the story and the interactions add another layer of immersion. Brothers contains no actual dialogue but it isn't difficult to follow the story through character actions and emotes. The Unreal Engine does an amazing job of creating realistic character models and textures. Aside from a few frame rate issues in the later portion of the game, Brothers holds up really well as a whole. Clocking in at about three and half hours of game time, Brothers is a well put together title with several twists and entertaining sections. 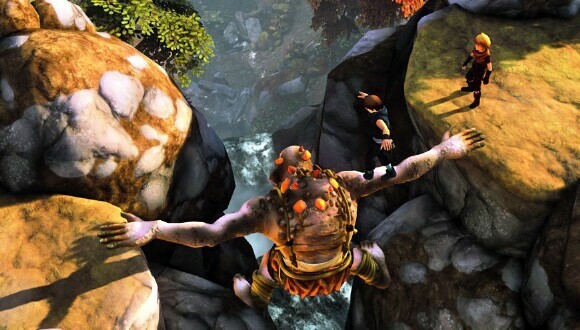 Brothers: A Tale of Two Sons is an amazing indie title that should not go unnoticed. While there is no dialogue in Brothers, the emotion conveyed is so powerful that it speaks volumes - there is truly no other game quite like it. As a work of art, it is an incredible journey of mind, spirit, and visual expression. As a game, it is a stunning example of what developers can accomplish. Brothers contains no violence and yet still holds up as one of the best titles this year holding its own against some of the AAA titles out. 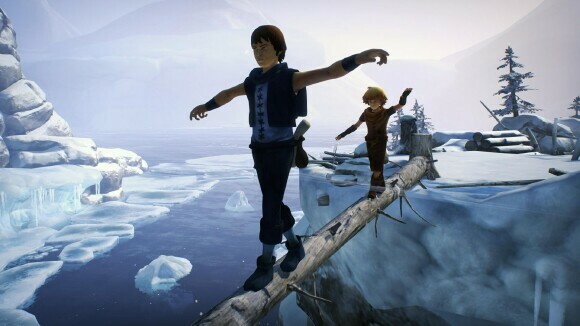 I give Brothers: A Tale of Two Sons, a perfect score 5 TOV Stars out of 5.